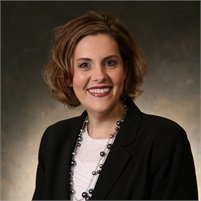 CaSondra has been with Mersberger Financial Group since April 2015, coming to the firm with over 10 years of industry experience in financial and banking offices. CaSondra assists the financial advisors in online account opening, product research, maintenance of client accounts, updating client records. She manages daily work flow for clients and works with the team to ensure deadlines and client needs are met by communicating with clients and with insurance and investment company representatives. She also assists with life insurance, client online account access, one-time trading for client distributions and meets with clients for signing appointments. In addition, she maintains all the proper licensing for the advisors. CaSondra holds her Series 7, and Series 63 registrations. CaSondra lives in Kiel with her husband, Richard and their five boys. She enjoys watching her boys play sports, camping, volunteering, and cheering on the Packers and Brewers.